Accelerated Math is a popular math practice program for grades K-12. The program is designed to provide teachers with a supplemental tool that allows them to create personalized math practice lessons, differentiated instruction, and to track student progress closely. The program was developed by Renaissance Learning Inc., which has several other programs closely related to the Accelerated Math program. Accelerated Math is intended to be a supplemental educational tool. Teachers use their existing textbook for instruction and then build and create practice assignments for students to complete. Students can complete these assignments online or in paper/pencil format. Either option can give students instant feedback and provides teachers with more time for instruction as the program scores student work itself. Accelerated Math is essentially a four-step program. First, the teacher provides instruction on a specific topic. Then the teacher creates Accelerated Math assignments for each student that parallels the instruction. The student then completes the assignment receiving immediate feedback. Finally, the teacher through careful progress monitoring can differentiate each student’s instruction to build on their individual strengths and weaknesses. Accelerated Math Live allows students to complete assignments online providing students and teachers with immediate feedback. Accelerated Math also provides teachers and students with a paper/pencil option. 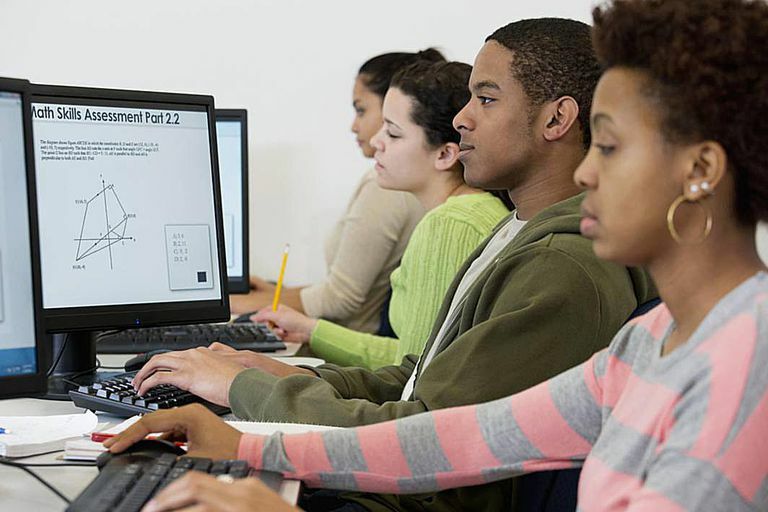 Students can print the assignments and provide answers on specific scannable paper. The student can then scan the assignment using an AccelScan scanner, Renaissance Responder, NEO 2, or Renaissance Home Connect. The assignment will be instantly scored providing students and teachers with immediate feedback. Being Internet based allows Renaissance Learning to provide automatic updates the program and to store key data on their servers. This is easier for the school’s IT team. One of the best things about Accelerated Math is that it allows the teacher to dictate how the program is used. This includes the ability to provide students with lessons which align with current instruction as well as lessons intended to remediate gaps a particular student may have. A teacher may also create assignments which challenge students who may be advanced. Accelerated Math allows students to work at an individualized pace. Students who demonstrate mastery quickly can move on to another challenging assignment while those who struggle can be given the time to master the current assignment. Students and teachers can be quickly added to the system either through large batch enrollment or individualized addition. Accelerated Math assignment book set up can be difficult and confusing. Fortunately, there is a quick tip manual for getting started and a help guide you can use along the way. It takes a series of steps before your students can use the program including creating objective lists, choosing the objective list for each class, creating groups, assigning objectives, and generating the first practice assignment. Teachers choose what assignments they want their students to work on allowing them to align the program with their current curriculum and meet individual needs. 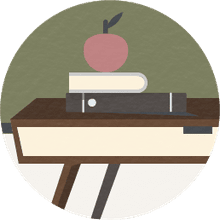 The program allows teachers to specify the number of questions on each assignment for each student making them short, medium, or large assignments. Accelerated Math provides teachers with more time for whole group and small group instruction as well as one on one instruction by eliminating time-consuming grading. Accelerated Math is designed to determine whether or not a student has mastered a specific skill or concept. Practice – Consists of multiple choice problems that check student understanding of specific learning objectives. Exercise – A type of practice activity used to reinforce and support objectives covered in a daily lesson. Test – A student will be allowed to take a test when they answer enough practice problems correctly. Diagnostic – Useful when you need to identify specific areas in which a student is struggling. Also allows students to take a test on objectives without meeting the practice criteria first. Extended Response – Provides students with challenging problems that promote higher order thinking skills and advanced problem-solving. The program provides students and teachers with immediate feedback directing the teacher to provide intervention when necessary and allowing those students who master a concept to move to another. Every student has access to in program resources designed to assist in student understanding. The resources include a comprehensive math glossary and work examples tied to each individual learning objective for which the student is attempting to complete. Every teacher has access to tons of resources designed aid in the successful implementation of the program on a daily basis. These include guides on how to get started, how to advance your implementation, forms and charts, and much more. Accelerated Math has studied and aligned their program to the Common Core State Standards. The math content libraries in the Accelerated Math program were designed to meet the requirements of the Common Core. Accelerate Math has about two dozen fully customizable reports. These include diagnostic reports, mastery reports, goal history reports, objective lists, parent reports, and several more. Teachers can use the reports to guide their instruction and meet their students’ needs. Accelerated Math allows you to receive automatic software updates and upgrades. Accelerated Math provides live chat support to answer questions and provide immediate resolution to any issues or problems you have with the program. Accelerated Math provides software and data hosting. Accelerated Math does not publish their overall cost for the program. However, each subscription is sold for a one-time school fee plus an annual subscription cost per student. There are several other factors that will determine the final cost of the programming including the length of the subscription and how many other Renaissance Learning programs your school has. To date, there have been ninety-nine research studies including eighty-nine independent studies that support the overall effectiveness of the Accelerated Math program. The consensus of these studies is that Accelerated Math is fully supported by scientifically based research. In addition, these studies concur that the Accelerated Math program is an effective tool for boosting students’ mathematics achievement. Accelerated Math is a solid supplemental mathematics program that teachers can use on a daily basis in their classroom. The combination of online and traditional types can effectively meet each classroom’s individual needs. The alignment to the Common Core State Standards is another welcome progression. The biggest downside of the program is that it takes multiple steps to set up the program. These steps can be confusing but this can be overcome with professional development training and/or the setup guides offered by the program. Overall Accelerated Math gets four out of five stars because the program has evolved into a terrific supplemental program that can be easily implemented into any classroom and support ongoing instruction.